In the production of security keys, the correct blank must be located in the machine before grinding of the teeth can be checked. 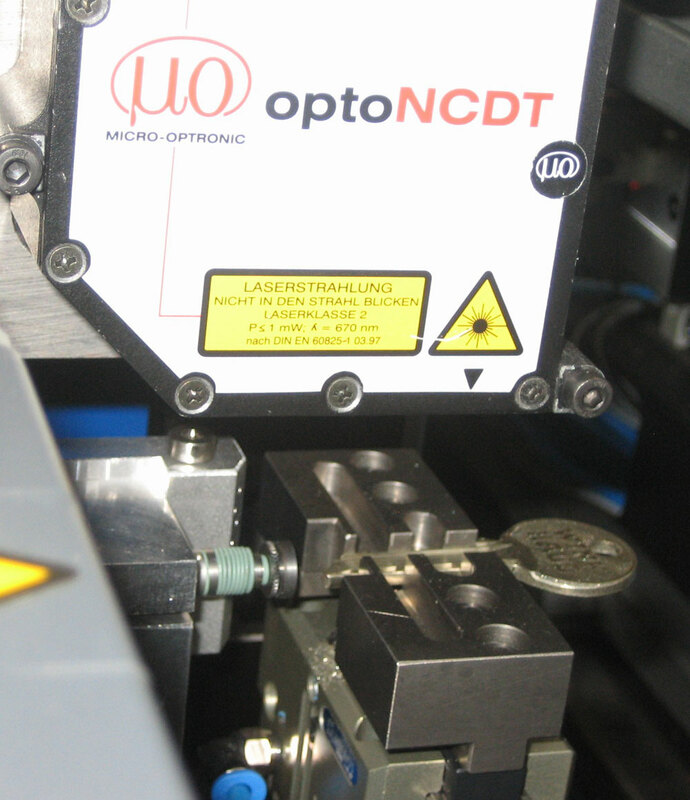 An optoNCDT 2200 laser sensor traverses across the profile, recording the surface profile precisely while doing so. A measurement profile without any gaps and a very small measuring spot size are important here.